The working group “Ring Physics and Performance” prepares optimal conditions for SPARC experiments at the storage rings of FAIR. This work is done in close collaboration with other SPARC and accelerator working groups, and is based on the many years experience in performing various experimental investigations at the presently running Experimental Storage Ring ESR of GSI, as well as other heavy-ion storage rings worldwide (e.g. TSR-ISOLDE in Heidelberg/CERN, CRYRING@ESR, or Experimental Cooler-Storage Ring CSRe in Lanzhou). Significant parts of the envisioned SPARC scientific program can be conducted with CRYRING@ESR and with HESR. However, the full scope of the SPARC physics goals will be become accessible after the NESR is realized at some point in the future after the MSV of FAIR. Next steps: The full-scale Technical Design Report on SPARC@HESR is presently in preparation. An important activity of the working group is related to the non-destructive detection systems, such as Schottky detectors. Such detectors have unique properties, like, e.g., a wide range of particle intensities from single stored ions to currents of several mA can be measured. 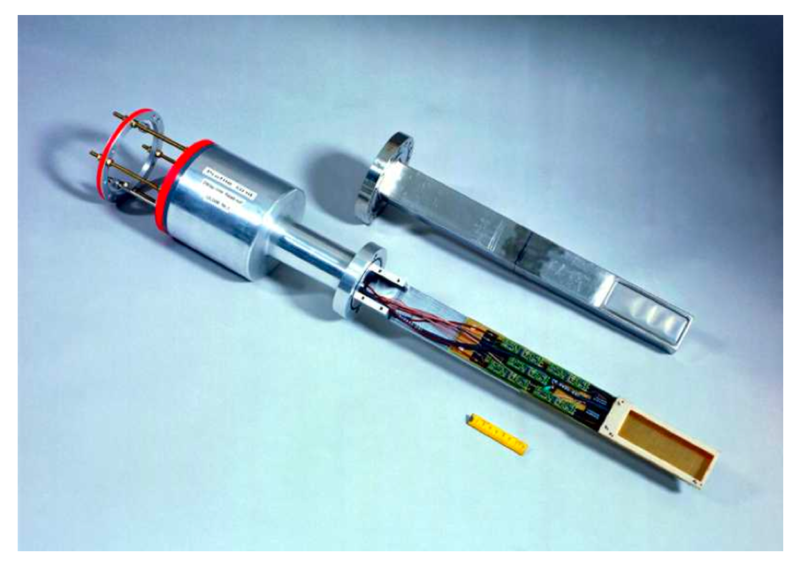 Owing to its large frequency bandwidth, Schottky detectors are indispensable detectors for studies of various decays of ions stored in a ring where the intensities of both the parent and the daughter ions can be measured simultaneously, see, e.g., Yu.A. Litvinov and F. Bosch, Rep. Prog. Phys. 74 (2011) 016301. Last year, a new-generation resonant Schottky cavity has been commissioned in the ESR [F. Nolden et al., Nucl. Instr. Meth. A 659 (2011) 69] (see right part of Figure 1). 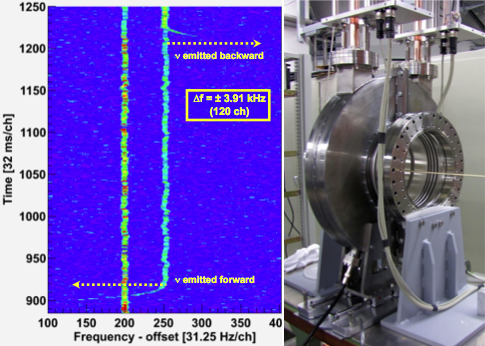 In addition to highly enhanced time resolution essential for decay studies, this highly-sensitive new detector enabled accurate measurements of the longitudinal momentum transfer in a reaction (see left part of Figure 1). Novel experiments are being now considered which use the latter property of the new detector. These include, e.g., momentum transfer in projectile ionization in collisions with internal gas-jet atoms and or cooler electrons. Next steps: After the very successful measurements with the new resonant Schottky detector (see left part of Figure 1), a new detector is being developed, namely a Schottky detector which would be capable to access also the transversal component of the momentum transfer in a reaction or in a decay. In combination with the resonant Schottky, this will enable the full-kinematical measurements of the recoil momenta and can be used, for instance, for accurate investigations of beta-decay spectra for fundamental tests of the (V-A) nature of the weak interaction. A dedicated application for the R&D on such detectors has been submitted to BMBF within the SPARC.de. If daughter ions after a decay or a reaction lie outside the storage acceptance of the ring, they can be measured with dedicated particle detectors installed after dipole magnets of the ring. The principle is illustrated in Figure 2. Next steps: For a range of physics experiments in the ESR and later on in the NESR, low-energies of around 10 MeV/u are essential. In such cases the energy of the recoiling ions is not sufficient to penetrate the stainless-steel windows (presently 25 um) of the detector pockets. Therefore, new detectors which can be installed directly into the ultra-high vacuum conditions of a storage ring are needed and are being presently developed in a collaboration with KVI Gröningen, Technical University of Darmstadt, and Edinburgh University.